The Shelf Life Guide. How Long Will Your Food & Beverages Last? Search for the shelf life of your favorite foods and drinks! Welcome to Eat By Date! We are a group of contributors from the kitchen, classroom and web communities who set out to answer the question, “How long does food really last?”. From the best ingredients to the ordinary, we are devoted to providing you with a diverse and informative perspective on food shelf life, expiration dates and storage tips. Browse the menu, use the search function or click a picture below to find the shelf life of your favorite foods and beverages! Expiration Dates. How long does food really last? We provide guidance on the best before dates of a variety of the world’s most popular foods and beverages. Food Storage. Interested in making food last longer? Our food storage advice will help you keep your favorite foods fresh and increase their shelf life. Food Safety. Practicing food safety techniques helps prevent food borne illness. We will show you how to tell if your favorite food has gone bad. Food Vocabulary. Defining common food terms such as “best before date,” “use by date,” “sell by date” and “shelf Life” will help you better understand the dates used on food packaging. What Are the Benefits of Eat By Date? The benefits of following the advice on our site include keeping your food safe and enjoyable while cutting food costs and avoiding waste. Additionally, our articles include info that allows you to learn the science, industry and personalities surrounding food. What Categories of Food Are Included? How long will your favorite foods and beverages last? 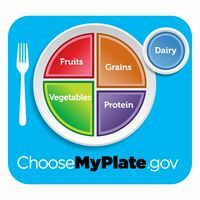 You can find food shelf life, food storage and food safety information for foods in the Dairy, Drinks, Fruits, Grains, Proteins, Vegetables and Other categories of Eat By Date! While we will continue to write new articles about food, please contact us (contact@eatbydate.com) with your ideas. Our shelf life information incorporates shelf life research from multiple resources including the U.S. Department of Agriculture and the U.S. Food & Drug Administration. In addition, we scoured the web for informative articles and reports related to food safety, food storage and the shelf life of food.